Clovis, CA - In the 97th edition of the California State Championship the Warriors' Elena Bruckner and Ronna Stone enter as the #1 seeds in their events, respectably. Ronna Stone, who will throw for the University of Oregon next season, is set to compete in her third state championship. Qualifying in the shot put and discus, she has been been spectacular in the closing weeks winning the CCS discus title and hitting a personal best 158-10 in the CCS Trials. She enters the state meet as the top seed in discus and the seventh seed in shot put. Opening her season with a personal best 49' in the shot put, Elena Bruckner chipped away at the 50 foot barrier surpassing it for the first time mid-April, setting her apart as one of the top throwers in the nation in 2015. But it was a historic day in the discus that sent a buzz through the track & field community: in the final round of the WCAL Finals the discus sailed 182 feet-2 inches. A mark that ranks her #10 all-time in U.S. History. Two weeks later Bruckner made national headlines again, this time in the shot put. Already setting the the CCS record in earlier rounds Bruckner had nothing to lose and let one fly. The result: 53 feet-5.5 inches. That also is #10 all-time in U.S. History. 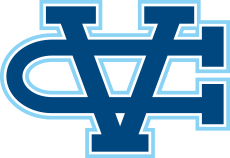 Valley Christian is also in the team title hunt, entering the meet ranked third in the state. It is no surprise that the Stone & Bruckner have potential to earn big points but it is not going to be easy with a very deep talented field in both events. But competition is something Stone and Bruckner have grown accustomed to this season, pushing each other all season. With two of the top ranked throwers in the nation even practice and dual meets can result in some impressive battles. "We make each other better," Stone Said in an interview following the CCS Finals. "We are always there for one another." Bruckner and Stone take on the best in California in the State Trials starting with discus at 5:30 pm, shot put at 8 pm.